The award-winning Royal Exchange Theatre’s Young Company has gone and done it again! 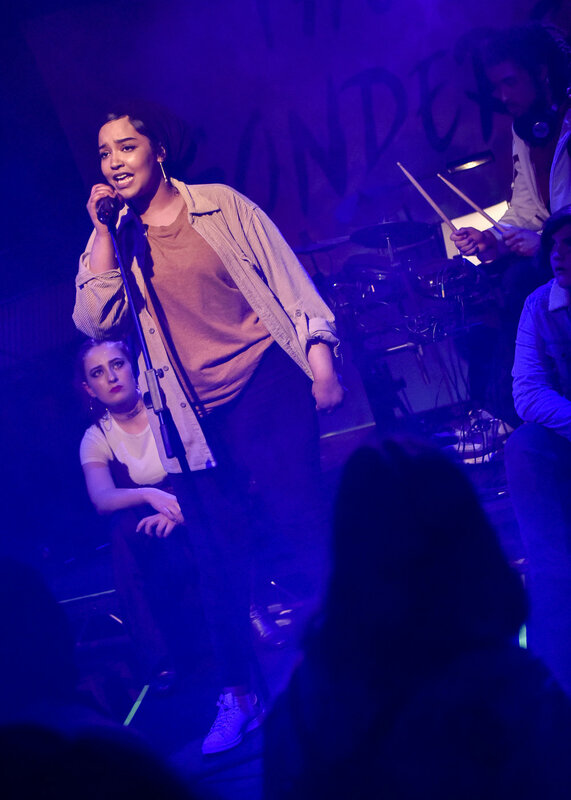 Their latest production, 'Mixtape'* (11th - 14th Apr 2018), is a deeply passionate and engaging musical about the multifaceted people that breathe life into the city of Manchester. 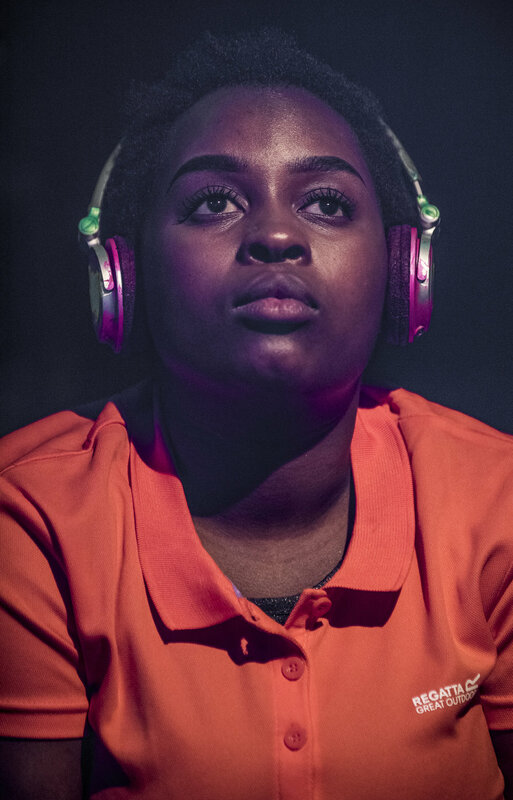 Wonderfully directed by Matt Hassall, 'Mixtape' pulls its audience right into the heart of a story about what it is like to live in the world of today through the eyes of the youth. Manchester is known for its music scene; and the beats giving 'Mixtape' the foundation to share its views on the meaning of home, the importance of being unapologetically you, the plight of jobseekers and more, are accompanied by some powerful, impassioned voices making the party thrown by the characters in 'Mixtape' not one to miss. With the help of 9 friends, Red (Elli Kypriadi), the lead vocalist of the party's first performance of the night, brings to light the highs and lows of three teenagers - Leon (Charlie Shaw), Siphilise (Zoe Ndlovu) and Leyla (Sara Abanur) - who, on the surface, seem unfazed by the struggles they're up against in today's society but definitely have a lot to say. So full of talent, the Young Company have created a pretty spectacular show worth experiencing. With thought-provoking poetic manifestos (written by The Company to the rhythms composed by James Frewer), much welcomed heart-warming scenes and laugh-out-loud moments speckled all over this production, 'Mixtape' (11th - 14th Apr 2018)beautifully illustrates that no matter how different we all may be, we are also very similar to one other and each play an integral role in making Manchester the great city that it is... or, at the very least, can be.